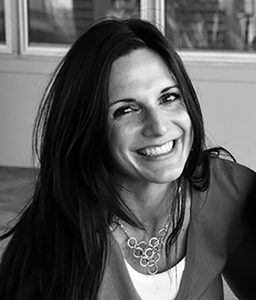 Please join me in welcoming the always sweet, hilarious and amazingly creative Vanessa Roeder! 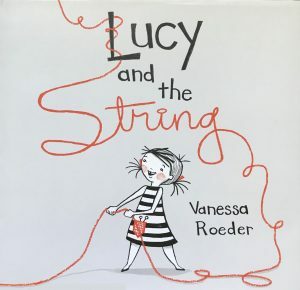 You might remember Vanessa from not one, not two, but THREE SCBWI art portfolio wins since 2016 (Austin Grand Prize 2016, Austin Honorable Mention 2018 and Houston Grand Prize 2018). 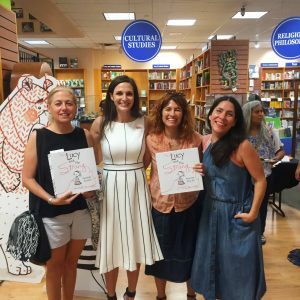 Vanessa’s first author-illustrated book, LUCY AND THE STRING, came out in 2018 with another tale on its way in 2020. Make yourself comfy as Vanessa, a self-proclaimed “creative mess maker,” takes us on a ride through her creative journey (maybe literally, if you’d like). And that childhood? I’m not jealous. You’re jealous. Where did you grow up, and how did that place (or those places) shape your work? 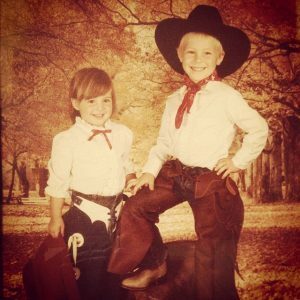 I grew up in a small town in south Texas, the daughter of a real-life cowboy and a librarian. We had what I like to call a rural Disneyland on 40 acres at the edge of town with chickens, goats, cows, horses, a donkey, barn cats, too many dogs to count, and the occasional rescued wild animal. It was interesting to say the least. I think one of the advantages to growing up in a small town was the lack of distractions. We had one stop light, one fast food restaurant, no mall or arcade or even a Wal-Mart, and the only sports offered for kids were little league or rodeo. As a child, I think the absence of options fostered imagination. I spent many of my days building contraptions in our barn: roller coasters, swings, and forts. My brother and I would spend days creating epic mud cities for our GI-Joes, converting his bedroom into a makeshift news studio where we would report on current events, or roping our many animalsinto crazy adventures. 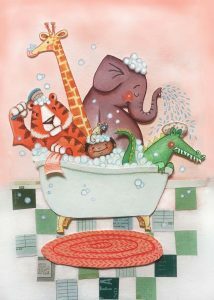 I think that ingenuity is reflected in so many of my picture book characters. One of the biggest influencers that has shaped my work and my life was my family. I come from a family of creatives and storytellers. I lived on the same street as my paternal grandparents and just a five minute drive from my maternal grandparents, and getting to know them (as much as you can through a child’s perspective) is one of the things I’m most grateful for. My mother was always knee deep in an art or writing project. My grandpa’s appetite for knowledge was insatiable, and he would include me on any venture into learning new art techniques. Sunday dinners meant tales of my other grandpa’s life as a Texas Ranger, my father’s many narrow escapes from death, or my uncle’s numerous childhood shenanigans. Their lives read like fiction, and their ability to recount these moments is absolute artistry. Being surrounded by such creativity instilled in me a passion to create. I hope to one day write a picture book biography about my Texas Ranger grandfather, but not until I can master the nuances of his story-telling ability. I wanted to be an artist for as long as I can remember. Art was and is my passion, and ultimately it was my love for art that led me to writing. 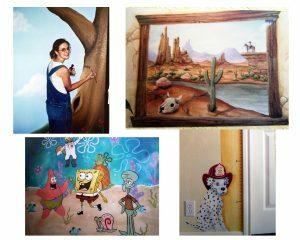 Right after I moved to Austin, I started my art journey as a muralist, and eventually painted custom artwork, mainly for children’s rooms. During this time, my librarian/writer mother kept urging me to get into children’s book illustration, a suggestion I shrugged off many times. 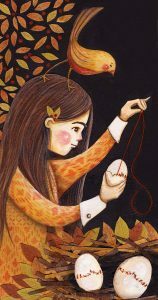 I have always loved picture books, but being a self-taught artist I was so intimidated at the idea of children’s book illustration. She persisted, though, and I began to dabble in illustration, taking classes, and absorbing everything I could about how to illustrate children’s books. As I added new illustrations to my portfolio, I realized that I wanted to know more about the characters I had created… I wanted to tell their stories, so I started writing those stories down. That was 9 years and many stories ago, and now I can’t imagine doing anything else. Well, buckle up. No, seriously, put your seatbelt on because you’re going to be riding in a car A LOT. I hope you like audiobooks! I have three kids ages 6, 12, and 18, and right now, I spend a huge amount of my time shuttling them from place to place, trying to get work done between rides. My day typically starts at 6 AM with coffee and a trip to the gym where I pretend to workout. Then it’s back home to start the chauffeuring grind. I don’t want to bore you with the details of my driving schedule, so I’ll jump to the in between moments where I’m either in a quaint little coffee shop, in my studio, or sitting in a parking lot awaiting the release bell. It’s in these moments where I get to immerse myself in my illustration and writing. For the sake of context, let’s say we’re in my studio. Let me turn on some ambient music. My go-to’s are movie soundtracks, typically Harry Potter or something from a Hayao Miyazaki film. You’ll probably have to push aside books, papers, and art supplies to find a seat because my process for creating a book is messy, and at times seems very scattered. I’m usually jumping back and forth between sketching and typing, sometimes writing half a sentence and not being able to figure the rest of it until I’ve come up with the corresponding illustration. I tape each illustration sketch up on the wall in order to see the entire book as it unfolds. If you catch me staring vacantly at the wall of illustrations, don’t worry. My mind is tinkering, or I’ve fallen asleep. Just nudge me awake. If I’m really blocked, I’ll take my rambunctious giant dog on a walk. You’ve probably already met him because he’s been barking incessantly this entire time. We’ll leave my tiny demon dog at the house because if she hasn’t bitten you yet, she’s surely thinking about it. These dog walks are great for writing epiphanies. Then it’s back to the house to record my new ideas. At some point, I’ll emerge from the studio (hopefully I haven’t forgotten to pick up my kids), and I’ll scramble to make dinner… literally. We’re having eggs. They’re quick and easy and they have protein, so don’t judge me. Evenings are family time. We’ll either play a game, or watch a favorite show together. Then bedtime routines. If you don’t mind throwing in a load of laundry, I’d greatly appreciate it. Once the youngsters are in bed, I’ll foolishly stay up until midnight or later, working on my books while watching Netflix. Then, I’ll do a couple of crossword puzzles to shut my brain off and go to sleep. Pretty dang exciting. Seriously, though… I love the madness. Like I mentioned, I have three kids and two dogs who keep me quite busy. 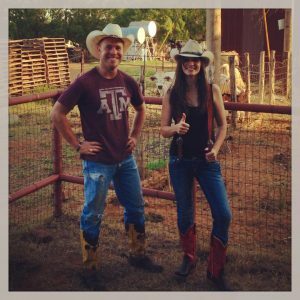 My older two kids have been homeschooled since kindergarten, but at this point, I farm out all their work to different schools catering to homeschoolers including Austin Community College, and my youngest goes to a private school three days a week (hence all of the driving). This untraditional schooling method, though, means my kids spend a lot more time with their mother, much to their dismay, but for me, it’s a great source of inspiration. Most of my book ideas come from things uttered by my children, plus, they’re brutally honest when it comes to critiquing my work. My biggest critic is my six year old, who will flat out tell me that he doesn’t like an illustration and I need to change it. He’s also one of my biggest cheerleaders, crawling up into my lap while I’m working, asking me to read all of my book dummies to him. On Mondays and Fridays, when he’s home with me, he’ll sit in my studio reading picture books, and writing and illustrating his own stories. It’s a bit annoying to see how he can churn out seven books while I’m struggling to get through one transition. But having that in-studio competition is a great motivator to keep pushing forward. Winning the Austin SCBWI Portfolio Contest was a huge moment in my journey. I had been working for years at trying to break into illustration, and that win was sort of a confirmation that I was on the right path. 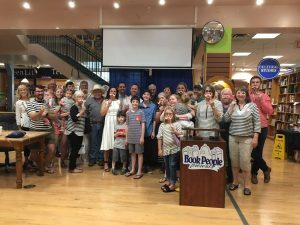 Then, soon after I found an agent, and sold two books. 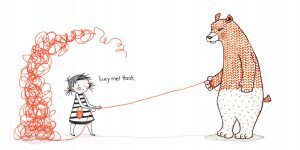 Finally, having my first author-illustrated picture book, Lucy and the String (Dial Books), published last year was a dream come true! And I’m currently working on my second book that’s slated for summer 2020 if I can get through this round of revisions. I think personally, though, the growth I’ve experienced in pursuing this creative path is one of my biggest accomplishments. Ten years ago, this shy girl who lacked confidence would’ve never imagined she would have a published picture book. I think one of the brightest surprises I encountered when pursuing writing and illustration is the community I’ve found through SCBWI and my amazing critique group, the Girllustrators. This creative community was something I lacked, and once I was immersed in it, I realized I had been longing for and needing this type of support in my life as an artist. It can be quite a rollercoaster ride pursuing a career in publishing, and having a creative community who will cheer you on, celebrate each accomplishment big or small, and slog through tough times with you is essential. Alternatively, one of the darker surprises to this artistic journey was feeling pretty lost after my book was published. I figured that things would get a whole lot easier once my book was released, but after the initial high, a lot of insecurities crept back in, and I was constantly questioning how to continue on this path. I was overwhelmed by the immense internal pressure to continue moving forward and to improve as an author and illustrator. I realized at this point, I’d have to dig in, work even harder, and continue to challenge myself. It feels like a grind sometimes rather than passion-fueled creativity, but hopefully that hard work will pay off. My biggest hope when someone finds my work is that it sparks joy. I love to laugh and am rarely serious (just ask my poor husband), and I try to infuse humor into all of my books. One of my favorite books, The Stinky Cheese Man and Other Fairly Stupid Tales by Jon Sciezka and Lane Smith absolutely blew me away when I discovered it as a teenager. I laughed so hard, and it’s something I’ve never forgotten. So, every story I write (save one) starts with some zany idea that I think is hilarious, although my kids may beg to differ. As I write these stories other themes emerge, like being a problem solver and owning up to your mistakes, as in Lucy and the String, or staying true to yourself, a theme in my next book, The Box Turtle, but these themes hinge on funny scenarios that I hope will make kids and adults laugh. My first ever school visit where I was allowed to show glimpses of Lucy and the String a whole year before the book was released, I showed the big surprise that Lucy found at the end of the string. At the big reveal, a third grade boy piped up and in the flattest voice said, “A bear. That’s funny.” To which I thought, mission accomplished! Would you rather live in the desert all summer, or the frozen tundra all winter? Desert all summer. I pretty much hibernate all winter because I can’t stand being cold. Would you rather be a person who can only make cat sounds or a cat who can speak like a human? A cat who can speak like a human. It would be nice to always land on my feet and have nine lives. Although, my kids are allergic to cats, so that might not be the best choice. Would you rather live in a hotel room or a yurt? A yurt! Yurts seem to hold the promise of adventure. But if we’re dreaming here, I’d like one of those fancy glamping yurts with all of the amenities of a hotel room.